Italy is a country with one of the most important cultures of wine, making it one of the leading producers in the world of wine. The Italian wines enjoy of a well deserved reputation as well as the Italian wineries, and have a large and extensive wine territory. Wine in Italy date back to the time when Mycenaean Greek stepped on the land of Romulus and Remus, it was them who introduced viticulture in 800 BC But it was not until 200 BC, when the wine started to gain leverage in the Roman Empire. Even the emperor Domitian destroyed some vineyards to replace it with food crops back on 90 BC. At that time wine was forbidden outside the Roman Empire, in what they called “Roman law.” This led to a significant raise of the wine trade. Over the years and while the Roman Empire and its laws weakened, viticulture began to expand in Europe, especially in Gaul (France). In modern Italy, its vineyards flourished as never before, becoming the largest producer of wine, but the reign was soon taken by France, shifted in the recent years. Today Italy is the second largest producer, its wines are world-famous, as well as wineries and all the culture that exists around the wine. 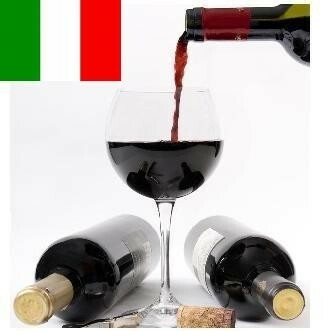 Italy is divided administratively into 20 regions, and they all produce wines. Its territories include the Alps, extensive coastal areas (as a peninsula), high mountains and hills, different climates and soils, make the perfect setting for wine in all its forms. Sangiovese (red) found in larger quantities in the Tuscan countryside. Verdicchio (white) found mostly in Marches. Nebbiolo (red) found mostly in Barolo and Barbaresco. Trebbiano (white) found mostly in Lazio and Abruzzo. Montepulciano (red) found mostly in Abruzzo. Dolcetto (red) found mostly in Piedmont. Moscato (white) found mostly in Piedmont. Gaja Barbaresco 2006: Barbaresco is one of the most interesting and a recognized type of wine in Italy, and Gaja winery is probably the best to makes it. This Gaja 2006 is spectacular, and shows the best of the Nebbiolo grape. Canti Pinot Grigio Rosé Brut: Sparkling wine made from the distinctive ‘pink Pinot Grigio. Amazing and so very different from anything you’ve ever tryed. And the price, is unbeatable. Cheer up!